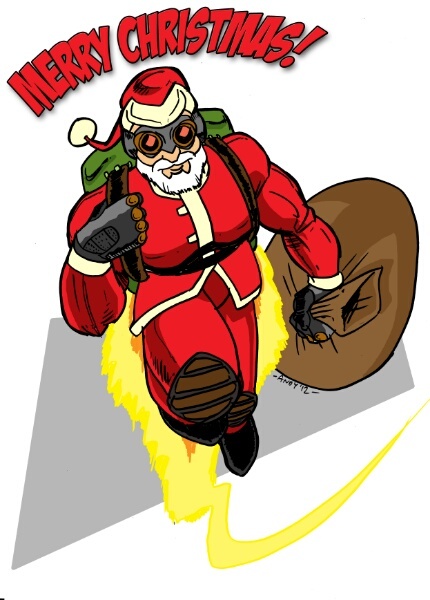 Jetpack Santa says, Merry Christmas and a happy Festivus to one and all! We apologise for the recent interruption in service. Your humble creator has been engaged in the process of buying a house, which has been occupying much of his time. (The rest of the Ginge, he's emotionally and physically exhausted.) Normal service will be resumed as soon as is reasonably practicable.